We partner with our clients to create genuinely innovative sites through insightful, responsive design. We work hard to create sites that are critical assets to our clients' businesses, and that deliver the right information to the right people in a way that meets and exceeds the user's needs. 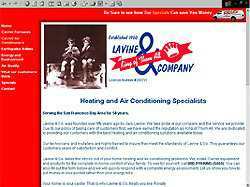 Lavine & Co. wanted a web site that was simple and fast, yet represented their philosophy and showcased their products and services. Power Verbs produced a site that features their down home, earthy business style. Customers are enticed to contact Lavine & Co. by Internet specials and discounts. Their site continues to evolve keeping Lavine & Co. "The King of Them All". "You were not the lowest bidder, but I went with Power Verbs because of your complete service. It really helped when you hooked me up with an ISP, and got everything running smoothly. 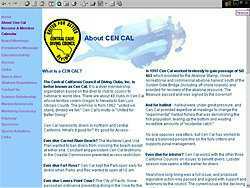 The site is just what I wanted, but it is the service that made the difference. "Dale Kay, CEO, Lavine & Co. The East Bay Diabetic Foundation is dedicated to providing information about diabetic health care to the widest possible audience. After years of disseminating their information by print, they contracted Power Verbs to create their web site. Since the launch of their web site they have reached millions world wide while reducing their cost by a third. "You guys were a godsend. We have been spending way over our budget on brochures and pamphlets, and not reaching a very large audience. With the web site, we are able to reach people world wide. We put out more and better information than we ever have before. The money we saved on our printing costs has more than paid for the web site. "Joseph Roth, MD.,PhD, East Bay Diabetic Foundation. 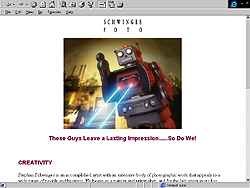 The Schwinges Foto site faced a problem that plagues all web designers, how to produce a site that uses a number of large images and still downloads quickly. With the expertise of Power Verbs, Schwinges Foto's site loads fast without any loss of quality to his wonderfully creative photos. 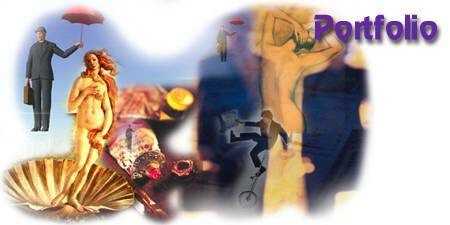 "The web site has been a tramedous help to my business. Now I can refer clients to my site instead of sending faxes or tearsheets. It has saved me a ton of time, energy, and best of all, money. Embarcadero Systems Produces several types of software for Marine Terminals Corp.. Voyager is a web application that allows Marine Terminals' customers (truckers, shippers, manufactures) to track the location and status of shipping containers. This is much the same as the tracking system of USP or Fed Express. Power Verbs went to the users and found that what they wanted was very different than what the developers had in mind. We wanted something slick and cutting edge design, but the users wanted ease of use and speed. The result is a stripped down interface with clear navigation and lightening fast downloads. It is not going to win any beauty contest, but the users give it rave reviews. Environmental Technology Inc. is a medium sized environmental company in the San Francisco Bay Area. Power Verbs helped them integrate their web site with their marketing strategy. Over the last year their profits increased more than twenty percent. Robert Biczynski, the company president, swears the increase in business is due to their web site. Power Verbs agrees.